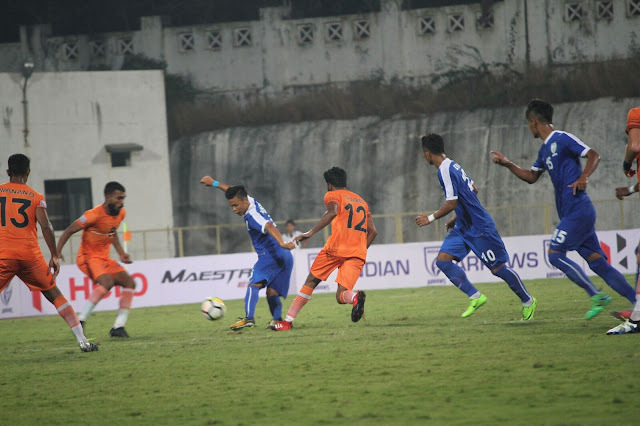 Indian Arrows registered a headline-grabbing victory over Chennai City FC with a 3-0 win in their I-League encounter at the GMC Bambolim Athletic stadium on Wednesday. A brace from Aniket Jadhav (20′, 58′) and a 90th-minute goal from Boris Singh set the tone for a resounding victory for the youngsters to stun Chennai City FC in their Hero I-League 2017-18 curtain raiser. After a slow start, Arrows slowly switched into their attacking gears and came close in the 13th minute. 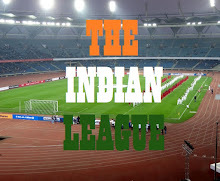 The defensive organisation of the Indian Arrows was evident as they kept their shape and goalkeeper Dheeraj Singh hardly had any saves to make. Chennai City’s best chances came through set-pieces but poor finishing kept letting them down. With an open goal in front of him, Aniket raced towards the ball and steered the ball into the net to score his second of the game. Eight minutes later, Chennai substitute Gurpreet Singh hit the crossbar from a free-kick and Chennai City had a few half chances. As the game was winding down, Boris Singh piled the misery on a jaded Chennai City with a 90th-minute goal as he strolled into the box and steered the ball. It was game set and match for the Indian Arrows Colts and Aniket Jadhav was adjudged as the Hero of the Match.